I always like to hear what other musical recommendations other people have, so when I am in the mood for Italian. the Calabrisella Mia blog written by “Lulu” is a good source of inspiration. Here are Lulu’s latest top 5 female favourites, but I recommend you go to her blog at http://calabrisellamia.wordpress.com to find out more about Italian singers, actors, films, the language and life in Italy. (She is more hip than I am). Enjoy. So, here it is finally. The 2nd edition to My Top 5: Italian Female Singers. My musical preferences change very often and I’m sure there will be more revisions to this top 5 list but for now, here are the Italian female singers I have in constant rotation in iTunes. The disclaimer is always the same – these are my own personal favourites and I don’t expect everyone to agree with my choices. In fact, I’d love it if you’d comment with your Top 5 Italian Female Singers. I hope you enjoy it and maybe discover some new music! Today, we are going to dabble in Italian. “To dabble in”, incidentally, in Italian is “dilettarsi“, and a “dabbler” is “dilettante“, a word which, as in English, can be pejorative. But just because I am dabbling in Italian now does not mean I am a dilettante, OK! On my travels to Central and Eastern Europe recently, rather than watch films for 20-plus hours (Australia is so far away! ), I decided to give my eyes a rest from computer screens and damage my hearing instead. So I sat back and listened to Emirates’ world music selection, particularly in the Romance languages. Well, they didn’t have any Romanian music, their Portuguese selection was limited to Ana Moura’s 2012 album Desfado, which on first listening didn’t do much for me. But I have a feeling I have seen Ana Moura live, either in a well-known fado club in Lisbon in 2007, when there were a number of singers on the bill, or in Tavira in 2011. I will have to look up my travel diaries. I do think her fado songs are worth investigating. 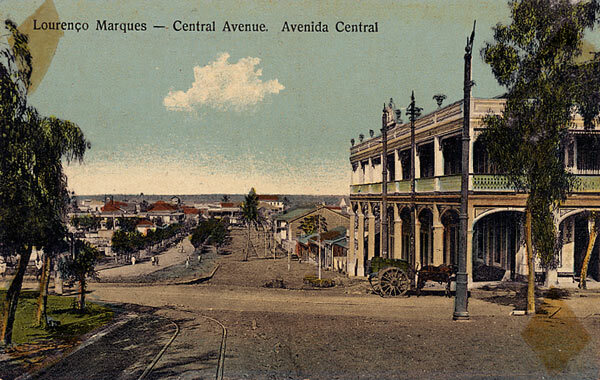 On Desfado, though, she is branching out into other genres, including singing in English. I shall give it another go at some stage. Emirates also had a Brazilian mix by a DJ whose taste was a bit way out there. Way, way out. There wasn’t much in the way of Spanish, the French was a bit predictable (Johnny Hallyday, Françoise Hardy, etc), but there was enough Italian to dabble in, including a selection of Laura Pausini, who is a great singer to follow if you are interested in Romance languages (see my post on her here). Of course, Emirates had a great selection in Arabic and Asian languages, and also Turkish, which I listened to. Surprisingly, Turkish women can really rock! I was impressed. Back to Italian. I was intrigued to see the song Inno by a singer who has been in the spotlight since the late 1970s, Gianna Nannini. I thought it would be a modern version of the haunting song of the same name by Mia Martini (Bruce Millar used the melody on his hit, “I Won’t Give Up”, and you can hear them both on my blog here). However, this was an entirely new song, the title track of an album she released earlier this year. I think it’s great. Have a listen. You don’t really have to understand Italian very well to know that this is a song about very fond memories of a loved one. Their eyes meet in the street, he (or she) smiles and says hello … so the story begins. Gianna has a great husky voice: she sounds like a woman who has smoked a lot of cigarettes, drunk a lot of wine in good company in cosy taverns, laughed a lot, had great passionate affairs etc etc. I am not casting aspersions. Maybe she is quite the opposite. All I am saying is that on this song at least she sounds like she has lived life to the full, and she is still full of joie de vivre. Good on her! As the song itself says, how good it is to live. I hope that’s how you feel too. In the video at the very bottom of the post, Gianna discusses the song and the rest of the album. Pasted underneath are the lyrics to Inno that I have found on various lyric websites, but there is something not quite right in one line, and all the websites seem to make the same mistake. Of course, you can paste these lyrics in an online translation site and as usual it will throw up some nonsense translation (like the one I have posted at the bottom). In Italian I must admit I am a dilettante, an amateur enthusiast but a bit ignorant. Still, with the help of my dictionaries and the website http://www.italian-for-free.com, which can do some useful analysis of verbs and grammar, I shall give the more important vocabulary after each verse, which should help your understanding of the song. un sorso = a sip; sorsare, sorseggiare = to sip; acqua = water ; dito/dita = finger/s; stringere = to grip/hold tightly; poggia = rain; o = or; lacrima = tear/teardrop; tornare = to return. WEBSITE AUTOMATED TRANSLATION: PROCEED WITH CAUTION! Here (in Italian) Gianna discusses the album at a press conference, and you can hear extracts from other songs on it. I feel like bursting into song. Not any old song, mind you. There is one I have had on the brain recently – Inno (Hymn or Anthem) by Mia Martini, who twice represented Italy in the Eurovision contest. 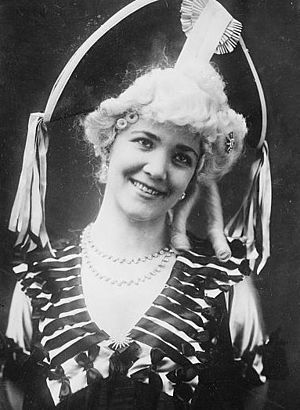 Her real name was Domenica Bertè (a name that I much prefer to Mia Martini!) and sadly she died quite young in 1995, aged 47. I came across this song by accident. It was one of those strange journeys that the YouTube ‘suggestions’ sometimes lead you on. While on a nostalgia trip I had gone from Chicory Tip’s Son of My Father to Substitute by South African all-girl band Clout (both songs charted in many countries). I then went listening to songs I heard in my youth in Southern Africa on the likes of Springbok Radio and LM Radio (including some by a great Mozambique-born singer known as Maria but whose fabulous real name was Carmelia Maria Neto Lopez, you can find her most popular songs I’m On Fire and Clap Your Hands And Stamp Your Feet here and here). One of the songs that was suggested too was I Won’t Give Up, by Bruce Millar. It made number one on the South African charts in 1976. I remember really liking it at the time. 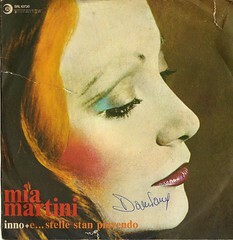 The person who posted it on YouTube noted that it was an “English-language cover of the 1974 hit ‘Inno’ by the Italian artist Mia Martini”. I had never known it was based on an Italian song, nor had I heard of Mia, so I had to investigate. So here in this posting we have the one great song (it has a lovely, haunting melody) in two languages, and both singers have remarkable voices, in my humble opinion. First off is Mia herself performing the song while she loiters behind futuristic-looking staircases and scaffolding (I’m not sure why). The song dates back to 1974 so the sound quality is not the greatest (there are other versions on YouTube that have slightly better sound but no video footage), but her enunciation is clear, it is a slowish song, so if you are not too familiar with Italian you should be able to hear it word by word and get a feel for the language. If not the lyrics are posted at the bottom. Next is the English version by Bruce Millar, titled I Won’t Give Up. The words to this are not a translation of the Italian original, at all (he just uses the melody). Mi ha dato e mi dara rubando il viso di una sera – He gave me and will give me stealing the face of the evening. OK, enough idle chatter about the Eurovision song contest and music and so on, it is time to knuckle down with some language learning, focusing on Italian for no particular reason other than we haven’t looked too deeply at it. To get you in the mood, here is some music in Italian! Click on the link, please, but after you do, do come back to this blog. Don’t get too distracted on YouTube, OK? That was the moment in 2009 when Marco Mengoni shot to fame, in the Italian X factor series. The song, Dove si vola (Where you fly) went to number one on the Italian charts, as did his Eurovision entry this year, L’essenziale. You can see his discography on Wikipedia here. I had a quick listen to his other hit singles but didn’t much care for them except for the title track to his latest album, Pronto a correre (Ready to run). Here are the lyrics to Dove si vola... I punched them into a language translator and have pasted the rather perfunctory English translation underneath because I figured you’d be too lazy to do this :). I am right, yes? 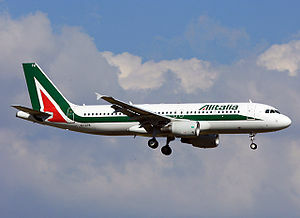 Ok, now that you are in the mood and your expectations are high and we are flying, let’s tackle some basics in Italian. As in French, in Italian nouns are either masculine (maschile) or feminine (femminile) and the articles and adjectives that go with them have to agree in gender and number. Let’s look at some masculine nouns followed by their feminine counterparts: lo zio (the uncle), la zia (the aunt); il ragazzo (the boy); la ragazza (the girl); il padre, la madre (father, mother); il giorno, la notte (day, night). Nouns ending in o tend to be masculine, nouns ending in a tend to be feminine, while nouns ending in e can be either. Nouns denoting a male person are usually masculine and those denoting a female person tend to be feminine. These are often linked to professions (il cantante is a male singer, la cantante is a female singer). However, in keeping with the o = masculine rule, the word for “soprano” in Italian, which is, um, soprano, is masculine – il soprano, whereas of course sopranos are almost inevitably women in real life but I am not ruling out the possibility that there might be males somewhere posing as sopranos. (Like the ones in the TV series, for example, haha). But note: as in French, all those words that have been borrowed from Greek that end in –a, or more precisely –ema and –amma, tend to be masculine – il problema, il programma. Those Greek words always defy the rules! And another curiosity is the fact that the noun femminile itself (meaning “the feminine grammatical form”) is masculine – il femminile. That is Italian logic for you. If you are interested in gardening and eating, you might like to know that in Italian most trees are masculine – il pero, the pear tree – but their fruit are usually feminine – la pera, the pear. However, lemons, figs and mandarins are masculine for some reason: il limone, il fico, il mandarino – maybe they don’t taste so good. Now, if you have been paying attention, you might have noticed that the definite article (the “the”) in front of some masculine nouns is lo and in front of others it is il. Why is this? It is possibly because Italians are dramatic and like to make things complicated. Or it could be they are sensitive to sounds: they use lo before masculine nouns beginning with what is sometimes described as “an impure s” – that is, an s followed by another consonant (lo sbaglio, the mistake; lo sport) and before masculine nouns beginning with z, as in the above mentioned lo zio, the uncle. It is also used in front of ps– and gn– hence lo psicologo (the psychologist) and lo gnocco (the dumpling). As in French, the feminine definite article is la before all consonants (la nonna, the grandmother). Also as in French, in front of both masculine and feminine nouns beginning with a vowel, l’ is used – l’animale (a masculine word), l’automobile (feminine). With masculine nouns, un is used before most consonants or vowels (un padre, un animale) but uno is used before z and an “impure” s (uno zio, an uncle, uno scolaro, a male scholar or pupil). With feminine nouns, un’ (with an apostrophe) is used before all vowels, and una is used before all consonants (un’automobile, una ragazza). OK, class is over. But we still have five minutes before the bell rings for the next lesson (which will cover the formation of plurals). So let’s listen to some more music. It’s a lovely melody by a well-known Italian pianist and composer, Ludovico Einaudi, called Nuvole Bianche (White Clouds). It’s just the sort of calming music you need when your head is spinning with Italian grammar. See you next time, a presto, ci vediamo! Sideburns are back! 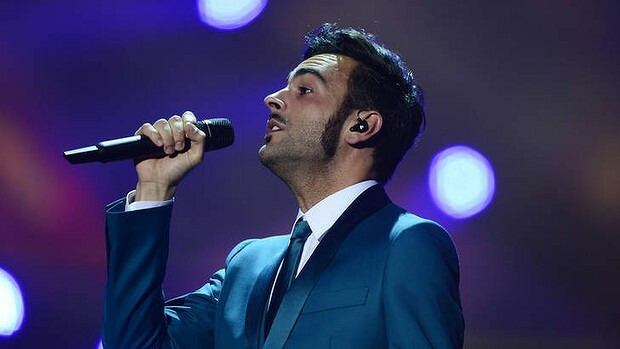 An otherwise very dapper Marco Mengoni belts it out at Eurovision. The lyrics are here and the English translation from the Eurovision website is underneath. (Heroes say … when the game gets tough … it’s time to play … bless them when, though … they mistake offences for good acts … Happens to us too … To make war and then long for peace … And then in my silence … I annihilate your every single pain … And now I appreciate …What I wasn’t able to choose). (I won’t accept another … Wrong decision … Love can hide behind loving words … That I uttered before … they turned empty and vain). (As the world falls into pieces … I craft new spaces and needs … That belong to you too … As the world falls into pieces … I move away from excesses … And bad habits … To go back to the origins … Going back to you … You, whom I believe to be the essential). (Love won’t abide any rules … It takes your breath away … and quenches your thirst … As the world falls into pieces … I move away from excesses … And bad habits … To go back to the origins … Going back to you … You, whom I believe to be the essential). The Italians gave their top mark of 12 points to Denmark and their second vote of 10 points went to Malta. It’s Goldilocks! ByeAlex’s brilliant guitarist shows off his mane. My sentimental favourite, Hungary’s ByeAlex, came a respectable 10th and got the top vote from the German nation, and the number 2 votes from both the Swiss and the Finns. 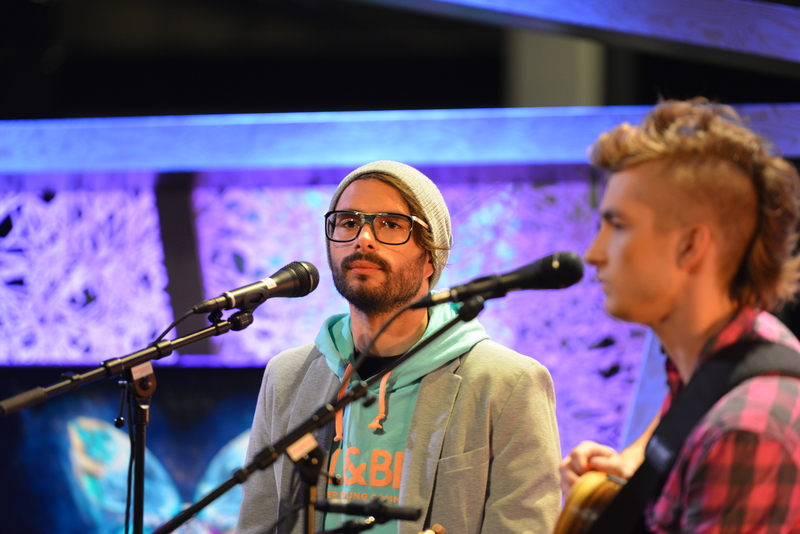 If Marco Mengione had the most prominent sideburns on stage at Eurovision, the most notorious hairstyle among the male contestants belonged to ByeAlex’s guitarist (according to some websites his name is Dániel Kővár but I don’t know that for sure). He had an elegantly coiffeured mohawk of almost epic proportions. The way his head bobbed up and down as he strummed his guitar while seated on a stool was most entertaining, and his energy offset the static shyness of Mr ByeAlex himself. But let’s not just talk about his hair, let’s admire his guitar work too … to hold a song together in a massive auditorium with just an acoustic guitar is quite some feat. Check out the performance here… (the back-up singer is great too, she’s really lovely, I hope they tour Australia one day). Attenzione prego, signore e signori! Your attention please, ladies and gentlemen! Hail, hail! gallant gondolieri, ben venuti! O eccellentissimi!.… Oh most excellent! Keep a bunch of flowers handy, in case the lagoon is a bit smelly that day, so you can sniff the flowers as you go boating. 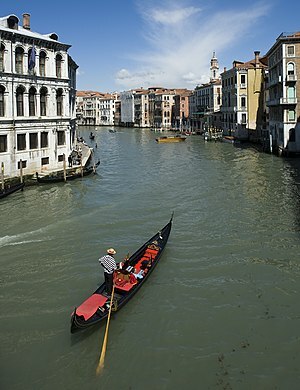 Then when you step off the gondola at the end of the journey you can hand them over to your gallant gondolier. If you don’t want to be so dramatic, you could do as the Romans do when in Rome, (quando a Roma vai, fai come vedrai). 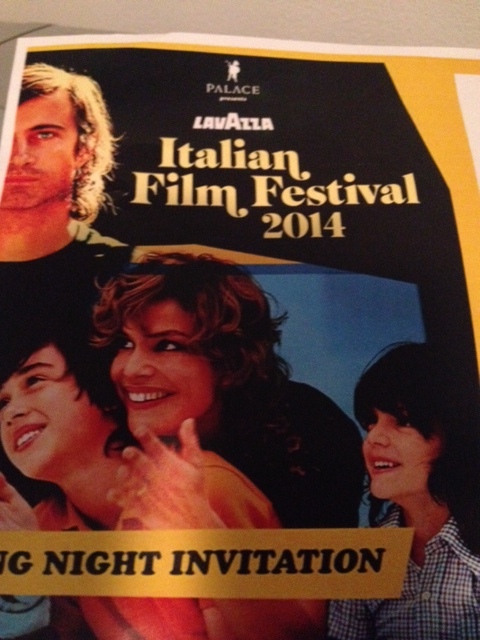 Florence will have to be on the itinerary, of course, and maybe the Amalfi Coast, Lake Como or the isle of Capri. But really, anywhere will do – Italy is one of the perennial top tourist destinations, and understandably so. Of course, Italian is spoken outside of Italy, notably in Switzerland, but also in parts of Croatia and Slovenia, San Marino, Monaco, Malta, and in Italy’s former colonies in Africa, such as Eritrea. 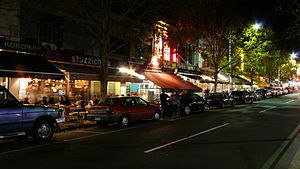 In Australia, both Sydney and Melbourne have a “Little Italy” – head for the Italian Forum on Norton Street and Lygon Street, respectively. If you can’t get to these places just pop into your local Italian restaurant and practise your Italian on the staff. Just remember, if you see burro on the menu, it’s butter and not donkey! Okay, let’s get talking… to talk is parlare and to talk shop is parlare di lavoro or parlare di affari (lavoro being work or labour, and affari being used in the plural to indicate business affairs or matters. The singular is affare and naturually it’s a masculine word.) To chat is chiacchierare and to chat on the internet is chattare. Buongiorno will do for good morning or good afternoon and then you can use buonasera for good evening. (Buongiorno, like bonjour in French, means good day). Less formally you could say ciao, meaning hi (although, oddly, it also means goodbye), or you can say salve, meaning hello, greetings etc. Then to ask, how are you?, you can use either come stai or, more formally, come sta? To this you could reply, bene, grazie, meaning fine thanks, or benissimo, meaning very well. And if you feel like being really thankful – and why not, people enjoy such exuberance – you could say grazie molto, meaning thanks very much, or if you really want to count your blessings, grazie mille, a thousand thanks, which is one better than 999 thanks. Go the whole hog! Don’t forget to ask your companion how they are – say e tu? in an informal context or e Lui? (formal), meaning and you? Incidentally, the most usual word for morning in Italian is mattina, and if you did want to say good afternoon it would be buon pomeriggio. But that is a bit of a mouthful and you can see why buongiorno is preferred. To say goodnight is buona notte. Keep following the blog and hopefully in a decade or two your Italian will be eccellente, if not eccellentissimo. ♦Next time you get invited to a fancy dress party, why not go dressed as a gondolier? 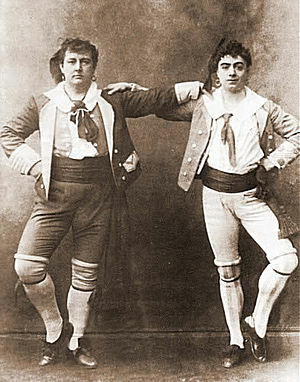 Just look at these wonderful outfits in the Gilbert and Sullivan productions down the years. You must have something similar in your wardrobe. Don’t your pyjamas look something like this? The top picture top right shows Leonard Osborn (left) as Marco and Alan Styler as Giuseppe in a production that must have taken place in the late 1940s or early 1950s. How could peasant women resist those wonderful socks and headgear! The bottom picture shows Rutland Barrington and Courtice Pounds in a production dating from round about 1889. Personally I prefer the 1940s look. For some perverse reason I am rather enjoying the horse meat scandal in the UK, although there is now even talk that donkeys may have been involved too. And let’s not rule out zebras! I think part of the reason for my enjoyment is that, despite all our bureaucracies, our rules and regulations, despite all the pompous ministers and officials here and there proclaiming that they all adhere to the most stringent standards, it only takes a bit of mischief from a man with a horse (or a donkey) to throw the whole system into chaos. It’s always entertaining to watch the politicians scramble to save their reputations. Everyone is blaming everybody else. In the meantime the old English expression “horses for courses” has been given an entirely new meaning. I also find it interesting that people in England who think they are eating Irish beef may in fact be eating horse meat from a factory in France or Luxembourg supplied by a possibly dodgy Cypriot trader who sourced his meat from a possibly dodgy abattoir in Romania. Just look at those supply chains! So many middle men! Those poor cows/horses/donkeys do get shunted around. I am surprised the meat is still edible by the time it lands on your plate. Anyway, that’s globalisation for you. Too greasy for my palate: a dromedary camel in outback NSW, Australia. Photo: Wikipedia. It is strange people will quite happily eat meat from one animal but be repelled by the thought of another. I don’t know if it is still available now but in the revolving restaurant up in the Sydney tower you used be able to sample camel meat as well as ostrich/ emu and kangaroo. I seem to remember that camel meat was very greasy and left a film of oil on your lips and inside your mouth that was rather difficult to get rid of. Or maybe that was the emu. Dog meat is eaten in some parts of the world, but I’ve never tried it, nor bull calf’s testicles, which I believe are regarded as a delicacy in certain parts of the world. I quite like snails and have eaten crocodile as an entree in a restaurant (a French one!) in Zimbabwe. I don’t have any qualms about eating crocodile as I know the beast would have no qualms about eating me. Kangaroo meat is an issue in Australia. The creatures are regarded as a pest and hundreds or thousands have to be shot each year. 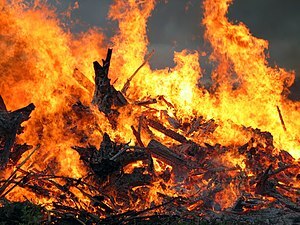 The meat is meant to be lean and healthy, less fatty than beef, and the argument is we might as well make use of the resource (that is, eat the damned things) since they are going to be culled anyway. So there has been a campaign to promote kangaroo meat to Australian consumers. I tried it in a restaurant when I first came to Australia in the early 1990s and it was OK, a bit like rare roast beef (chefs say it is best cooked rare or medium rare). They started to package it in our supermarkets. It is darker than most other meats. I bought some for a barbecue and pretended to the guests that it was beef. But while I was eating it (I had to play along with the joke) the thought of it being kangaroo, and the fact that I had seen it raw in the packet, made me feel queasy. I wanted to throw up. This was unusual because food rarely puts me off! When I told the guests what it really was they admitted they had found the “beef” rather odd. But the joke was on me. I guess deep down most of us have issues with animal slaughter though we try to keep it out of our minds, and we should try to be more vegetarian. Would it matter so much if Irish potatoes turned out to be Romanian carrots? Je ne crois pas, I don’t believe so. So, let’s look at some vocabulary…. If you go into a restaurant in France, Portugal, Spain, Italy or Romania I guess you would want to be sure of what you are eating. In French, the menu is le menu. Meat is viande, a cow is une vache, a horse is un cheval, a donkey is un âne, a camel is un chameau and a kangaroo is un kangourou. Beef is le boeuf, but if you want to say a man is beefy you can say he is costaud, a steak is un bifteck, and gagner son bifteck means to earn one’s living. 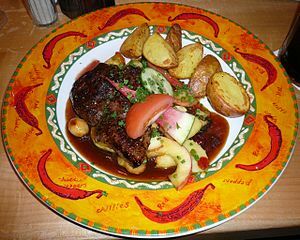 Horse meat is la viande de cheval, a potato is une pomme de terre (an apple of the earth) and a carrot is une carrotte. An abattoir is un abattoir and to slaughter is abattre, to cook is cuire, but to cook the books (to fake, fix or rig) is truquer. To eat is manger, a big eater is un gros mangeur if it’s a man and une grosse mangeuse if it is a woman. A scandal is un scandale, it’s scandalous! is c’est scandaleux!, mischief is l’espièglerie, a joke is une blague and to exclaim you’re joking! is sans blague! Other words are une plaisanterie or, if it is a trick, un tour. To fool someone is duper or tromper quelqu’un. A fool is un imbécile, and to play the fool is faire l’imbécile. A joker is un plaisantin. In Portuguese, the menu is o menu or a ementa. Meat is carne (that’s easy to remember, think of words such as carnivore or carnage in English), and the expression nem carne nem peixe (literally, neither meat nor fish) means neither one thing or the other. A cow is uma vaca, a horse is um cavalo, a donkey is um burro, and to be burro com uma porta is to be very stupid (literally, stupid as a door). 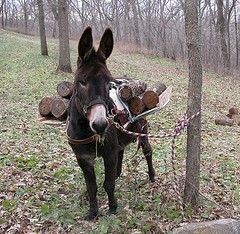 Ir de cavalo para burro means to be worse off or go into a poorer situation. 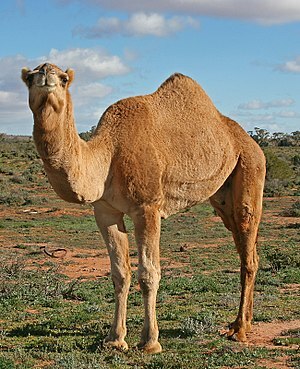 A camel is um camelo and a kangaroo is um canguru. Beef is carne de vaca, a steak is um bife (in Portuguese-speaking snack bars you can ask for a bifana, which is a steak sandwich or roll, usually very tasty). Estar feito ao bife means to be in a difficult situation. Horse meat is carne de cavalo, a potato is uma batata and a carrot is uma cenoura. An abattoir is um matadouro (matar means to kill, and of course it is related to the word matador) and to slaughter is abater, to cook is cozinhar, and to eat is comer. A scandal is um escândalo, it’s scandalous! is é escandaloso, mischief is o traquinagem or a travessura, a joke is uma piada or uma brincadeira, and to fool someone is enganar alguém. A fool is um tolo and a joker is um brincalhão. In Spanish, a menu is un menú. Meat is la carne, a cow is una vaca, a horse is un caballo, a donkey is un burro, a camel is un camello and a kangaroo is un canguro. Beef is carne de vaca, a steak is un filete or un bistec, horse meat is carne de caballo, a potato is una patata and a carrot is una zanahoria. An abattoir is un matadero and slaughter as a verb is matar but as a noun it is matanza, to cook is cocinar, and to eat is comer. A scandal is un escándalo, it’s scandalous! is es escandaloso! Mischief is travesuras or diabluras (both plural), a joke or funny story is un chiste (think of jest in English) while a practical joke is una broma and to fool someone is engañar a alguien. A fool is un tonto or una tonta, while tonto also means foolish. A joker is un or una bromista. In Italian, a menu is un menù. Meat is also carne, a cow is una mucca or una vacca, a horse is un cavallo, a donkey is un asino or un somaro, a camel is un cammello and a kangaroo is un canguro. Beef is carne di manzo or carne di mucca (manzo is a steer) a steak is una bistecca, horse meat is carne di cavallo, a potato is una patata and a carrot is una carota. An abattoir is un mattatoio and to slaughter is macellare, to cook is cucinare or cuocere, and to eat is mangiare. A scandal is uno scandalo, it’s scandalous! is è scandaloso!, mischief is una birichinata or (in the sense of naughtiness) birichineria, a joke is uno scherzo, if it is a funny story it is una barzelletta. To fool someone is ingannare. A fool is uno sciocco or una sciocca. A joker is un jolly. In Romanian, a menu is un meniu. Meat is carne, a cow is o vacă , a horse is un cal, a donkey is un măgar, a camel is o cămilă and a kangaroo is un cangur. Beef is carne de vacă, a steak or roast is o friptura, horse meat is carne de cal, a potato is un cartof and a carrot is un morcov. An abattoir is un abator and to slaughter is sacrificare or măcelar (butcher), to cook is a găti, and to eat is a mânca. A scandal is un scandal, it’s scandalous! is e scandalos!, a joke is o glumă and to joke is a glumi. A fool is un neghiob which can be used as an adjective to mean foolish, and to fool is a păcăli. to fool someone is a păcăli pe cineva. A fool is un prost and a joker is un joker or un clovn (clown). Well, that is a lot to digest. I’m sure in a future post we’ll be discussing pork meat, lamb chop and chicken nugget scandals. In the meantime enjoy watching politicians having to eat their words…. engolir suas palavras in Portuguese, engolir meaning to swallow. All our Latin teachers at school were weird. Very weird. There was the priest who kept smiling sweetly while saying “Eheu, eheu”. (Alas, alas!, or in a more modern translation, bummer!) This meant you were in trouble and were about to be caned. On the bum. Bummer! But the worst was a grumpy male lay teacher: he would sit at his desk, take his handkerchief out, twist it into an earbud and jab it into his ear, collecting wax samples, which he would then examine forensically. Sometimes he would take off his shoes and fiddle with his socks, but thankfully he never twisted them into earbuds. While all this was happening, some poor boy in the class had been asked to translate something from our text book. He would do so hesitantly, and there would be a long silence while the teacher excavated his ear canals and sometimes his nostrils too. Then out of the blue the teacher would pound the desk with his fists, roaring “No, you blithering idiot! You bloody fool!”. Sometimes he would even throw his shoe. The whole class jumped in fright. The teacher would look around for someone else to translate and we all bowed our heads, trying to hide behind the boy in front, praying, please Jesus, don’t let him pick (on) me. At least we said our prayers. This went on for 40 minutes until the bell rang. What a relief. To illustrate this post I could have chosen a picture of some earwax, or a smelly sock, or someone picking their nose, or a priest caning a boy but I opted instead for some Roman Centurion who seems to have clean ears and a ferocious roar. I hope you are grateful. But I will dig out some earwax and snot if you insist. Anyway, the Romance languages that we are studying today are derived from Latin, or more specifically vulgar Latin (I can’t wait to get stuck into modern vulgar French, vulgar Portuguese etc etc). So as a way of revising the verbs to be and to have, and to refresh my memory of Latin, I thought I would look up those verbs in Latin and see which of My Five Romances is closest to it. I don’t have a Latin grammar text book, though, and thus am relying on websites, and I have found conflicting information. Some use accents on some Latin words (I don’t remember having to learn accents at school), and some give ille/illa and illos/illas for he/she and they instead of is/ea and ei/ea, and so on. I suppose it depends on whether it is more formal written Latin or a vulgar variety. To save space I will drop the subject pronouns in the other languages since we have covered them previously. Remember the Portuguese second person plural verb endings are archaic and are no longer in spoken use, so I have put the third person plural endings in that slot instead. The subject pronouns in Latin are: ego (I, that’s easy to remember, think of alter ego), tu (you singular), is/ea (he/she), nos (we), vos (you plural) and ei/eae (they). Looking at this, I would say that in this instance French is the closest to Latin, perhaps followed by Romanian, while Italian, surprisingly, seems the most removed. With this verb it seems like Portuguese, Spanish and Italian are closest to the Latin equivalent, and that French and Romanian have dropped their haitches and drifted off together on a different path. But you might beg to differ. For more comparisons of Romance languages you might like to look at the Navitlang.com website. Must go. The bell has rung and the Latin lesson is over. It’s time for some physical education (a swim at the beach). See you next time, thanks for reading. When I first heard that a French documentary film called Être et avoir (To be and to have) was turning out to be a great success, I was really surprised. A documentary named after two verbs! Seeing it would be like going back to the first dreadful days of school, surely. What next, a comedy about arithmetic and algebra! I had to see it out of curiosity (I am a former teacher) and of course the film, directed by Nicolas Philibert and set in a small rural school, was about a lot more than getting kids to conjugate two verbs correctly. If you have not seen it (it was released in 2002), I do recommend it. One thing we could learn from the film, in case you didn’t know already, is that the verb “to have” is as important as the verb “to be”. This is because in the Romance languages, as well as in English, to have is an auxiliary verb that helps form compound tenses (such as “I have eaten”). Furthermore, in some Romance languages the verb “to have” is often used in contexts where English would normally use the verb “to be” … for example, “I have thirst” rather than “I am thirsty”, and “I have 32 years” rather than “I am 32”. In the Romance languages to be and to have tend to be irregular verbs. So, “to have” in French is avoir, in Italian it is avere, and in Romanian it is a avea. You can see the similarities. Portuguese and Spanish are a little bit different, as usual – it seems their respective equivalents of this verb, haver and haber, now have limited use as an auxiliary verb and ter and tener are more commonly used, particularly to indicate possession. For space reasons I will have to cover them in a forthcoming post. Let’s look at their conjugations: I will put the singular persons on the top line and the plurals underneath, with the masculine form first in the third persons. In Italian one puts a non in front of the verb: Maria ha un cane. Maria non ha un cane. In Romanian, the nu becomes n- in front of the a of an auxilary verb. For example, here is a song I like on YouTube (posted by someone called darkrose1989) by a Romanian band, Holograf. The song is N-am stiut, which means I didn’t know. In this posting the lyrics have been translated on screen into Italian and English. It’s another song about lost love and regrets, and the accordian notes round about the 2:10 mark sound very French. Play it a few times and I expect you will be humming nu, nu, nu to yourself regularly. For explanations of the formal and informal forms of address in these languages, see my posting from December 21, 2012 – Hey you! Which ‘you’ should you use? and you can hear the pronunciation of the Romanian verbs a fi and a avea on the YouTube link in the my posting on “Being Romanian” from January 10, 2013.